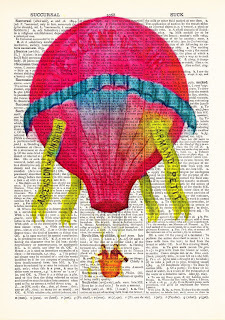 Today on Oh So Beautiful Paper I'm highlighting all things "transit," from my beloved streetcars to, you know, hot air balloons. Hey, I couldn't resist this nod at one of Albuquerque's premier events! But speaking of transit, there's good work news on my end. A new role and some meaty things to tackle. Positive change, all of it. Love that print! And yay for positive changes!